Added suppport for the Chill Effect addon. Fixed a formatting error in one of the Russian translations. Revamped scanning/initialization logic to properly set names/icons on every critter and mount in the database. 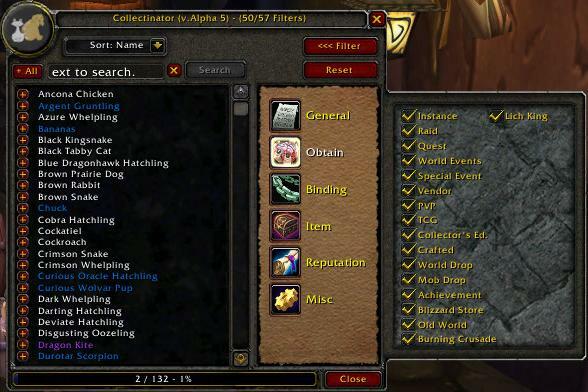 Added support for the new WarcraftPets.com Collection Importing facility. Decided to release this thing, finally - 13 betas is a tad much. Toravon the Ice Watcher now listed for "Grand Black War Mammoth"
NOTE: Install this to a fresh directory in your addons folder.